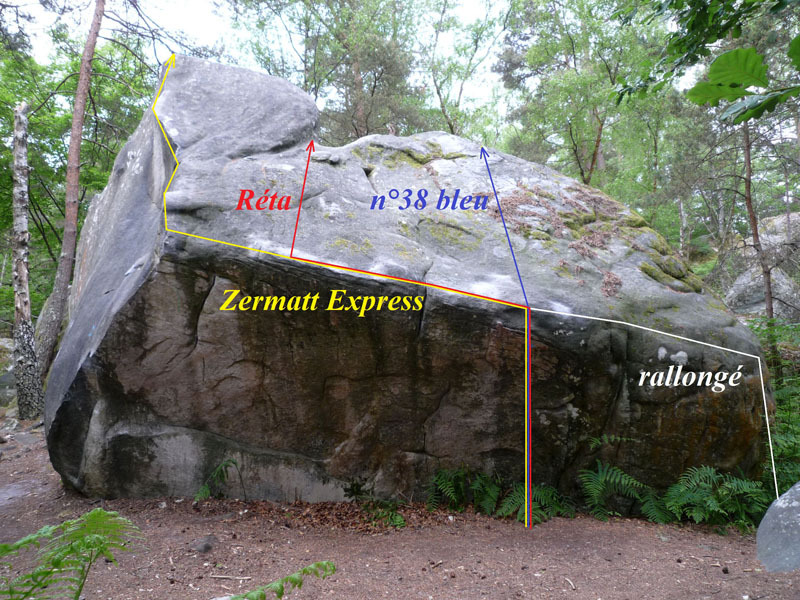 On the boulder of Le Cervin. Sitstart 2m to the left of sky blue n°38, traverse to the left, continue by Zermatt Express and exit as for that one. Update (September 2018) : the start has to be rebrushed.